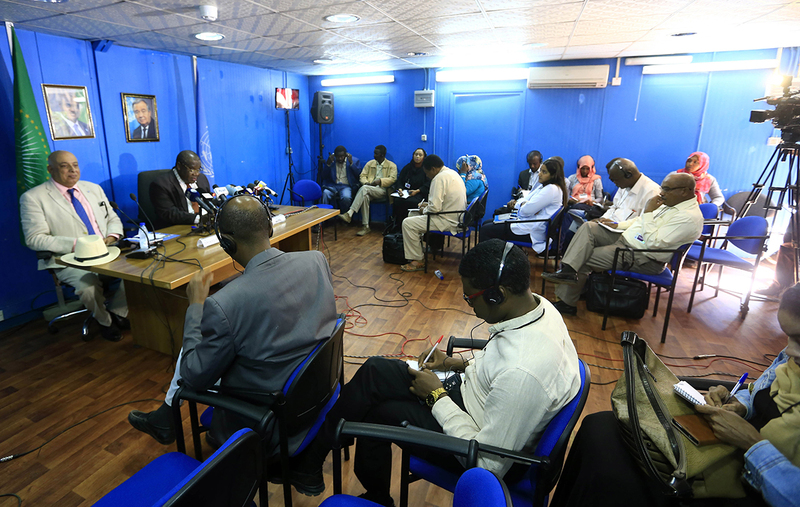 UNAMID Joint Special Representative, Jeremiah Mamabolo addressed journalists at a press conference in Khartoum, Sudan on 2 December 2018, where he announced significant changes in the Mission’s operations in line with UN Security Council Resolution 2429. Mr. Mamabolo announced the relocation of UNAMID’s headquarters to Zalingei and his office to Khartoum among other developments. Photo by Mohamed Nouraldin.